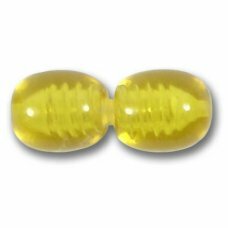 We have a large range of semi-precious stone beads. Where possible we source natural stones, but many are stabilised, heat treated and enhanced where noted in the descriptions. 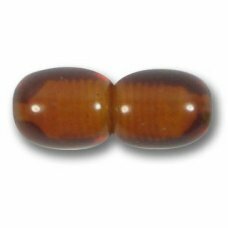 Few of our beads are dyed, but again always noted in the description. 10 Black Onyx 8mm Puffed Heart Beads might make nice little charms or details drilled top to bottom ..
10 Black Onyx 6mm Star Beads Onyx is a translucent Chalcedony, part of the Quartz family, and for h..
1 Strand Opalite 6mm Round Beads. 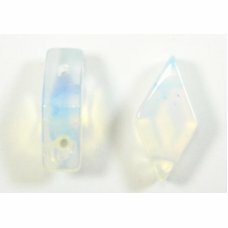 This an opalescent glass (not a true gemstone). 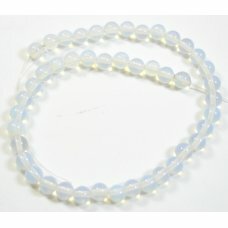 Strand measu..
1 Opalite Top Drilled Briolotte Bead, the top is side drilled measuring approx 15x12x8mm. 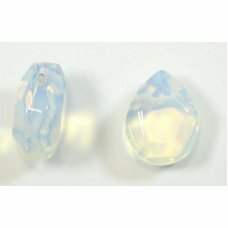 This an op..
1 Opalite Double Drilled Kite Lozenge Shape Bead measuring 17x10x6mm. 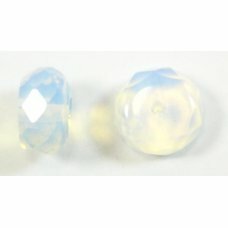 This an opalescent glass (not ..
10 Opalite Faceted Rondelles, approx 10mm diameter x 5mm. 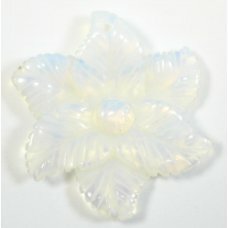 This an opalescent glass (not a true gemst..
1 Opalite Flower Pendant, spectacular pendant with hole drilled though petal at top, measuring appro..
10 Opalite Bow Beads, measuring approx 6mm diameter x 10mm. Alternate beads stack at 90° to each oth..
A strand of clear /colourless cool rock crystal beads in a puffed disc shape which measure approx. 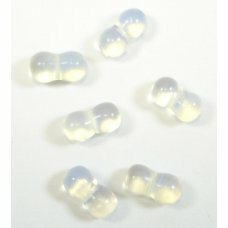 1..
A strand of clear cool rock crystal nugget or pebble shaped beads which measure approx. 21x16 mm - t..
1 strand of mother of pearl beads in a lovely black and silver combination - the beads are drilled a..
A strand of crackled quartz, some of which has been left which has been dyed Pink and Yellow with so..
A strand of crackled quartz, some of which has been left which has been dyed pink and blue - ever so.. Ten of these fabulous chunky ceramic pebble shape beads, these are green and verdigris with a little.. Ten of these fabulous chunky ceramic pebble shape beads, with Grey Speckles - they.. Ten of these fabulous chunky ceramic pebble shape beads, these are black with white speckles -.. This is a strand of dyed turquoise with a howlite base - howlite dyed turquoise in an unusual shape ..
A wonderful strand of turquoise dyed agate in a rough faceted cut nugget or pebble shape beads which..
10 Fire Agate beads in various shades of beautiful-ness (I know, its not a word, but it fits!) - the.. This is a strand of very lovely dyed green agate faceted oval beads which measure approx. 20 x 15 mm..